"Every Thursday evening, without fail, he walks over to the temple next door." A dog in India has become something of a legend for his very enthusiastic participation in one of the region's most important ceremonies. 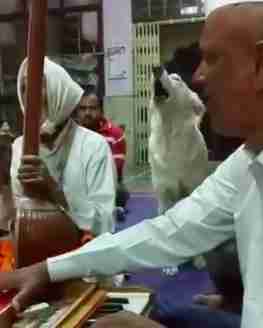 According to a friend of the dog's owner, who managed to capture some footage of the pup in action, the dog heard some music coming from a neighboring temple a while back — and so he decided to join in the singing. And it wasn't just a one-time thing. 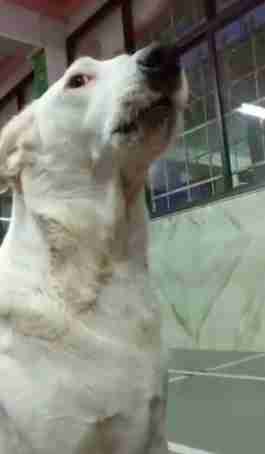 "This devout little dog belongs to my friend's factory," Sushma Date wrote on Twitter. "Every Thursday evening, without fail, he walks over to the temple next door and joins the keertan." The keertan, or kirtan, is a kind of traditional religious storytelling set to music, and it goes back hundreds of years. 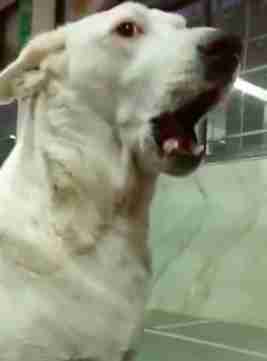 The pup surely doesn't realize the history of what he's doing — but something about it clearly resonates with him, as he belts out howl after howl. 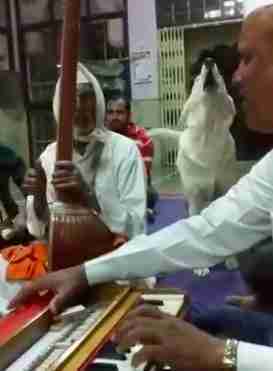 As the people are chanting and playing their instruments, they seem to have grown accustomed to the dog's participation and even give him some encouraging pats on the head. Perhaps one of the things that keeps the pup coming back is the food involved: "Then he has his share of prasad and trots back home," Date wrote. Prasad is a spread of typically vegetarian snacks that are blessed and then shared among people during these ceremonies — in this case, shared between people and a single pup. Traditions, whether they are religious or cultural, are important because they encourage togetherness and give people something to rely on. And it seems this need isn't exclusively human, either. The dog just keeps coming back for more, according to Date: "Every single Thursday!"